Style, practicality, and comfort are the hallmarks of any quality bathroom, and adding a new bathroom to your home ensures achieving the level of desirability your home deserves. 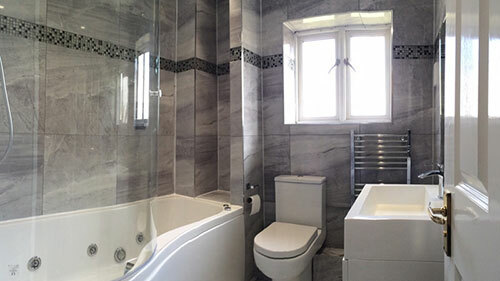 To help you secure the bathroom you need, AC Installations is determined to provide the very best services from a bathroom fitter in Tunbridge Wells. Across Kent and the South East, AC Installations has worked with a diverse array of clients, supplying some of the most contemporary and impressive bathroom designs available. Whether it’s working with products from such leading brands as Homebase and Wickes, or helping transform your existing bathroom with bespoke fitting services, we have the skill necessary – and the requisite qualifications – to provide the utmost quality in bathrooms. Services such as Check a Trade and My Builder have made finding a bathroom fitter in Tunbridge Wells far simpler than ever before, and it’s with pride that we work hard to ensure our reputation among such communities is the best it can be. Only through the delivery of the very best service can we achieve this, which is why we are proud to call upon the 20 years’ experience in bathroom fitting to ensure the very best. For the best bathroom fitter in Tunbridge Wells, you need look no further than AC Installations. We welcome any enquires on 07718 622940, and will be happy to offer a free and impartial quotation for any bathroom fitting needs you may have. Get in touch today to take the first steps to installing the modern, high-quality bathroom your home deserves.